If you're a parent looking to sign up your children and track their progress, see I'm a parent, how do I sign up my children? 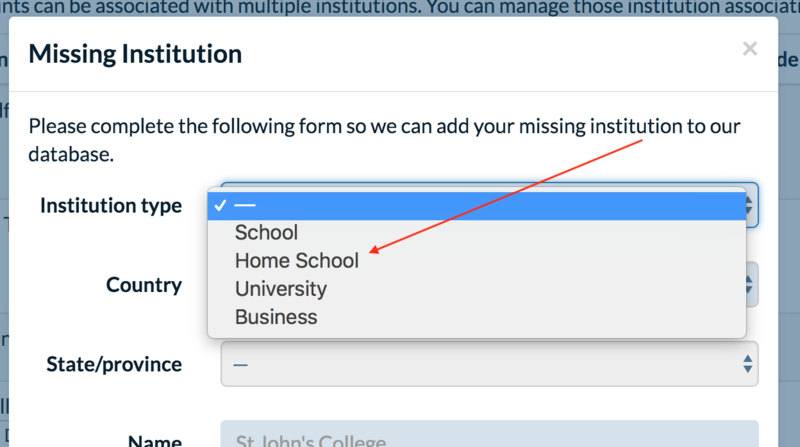 To add your home school, go to Institutions in your account settings and request it to be added to our database. 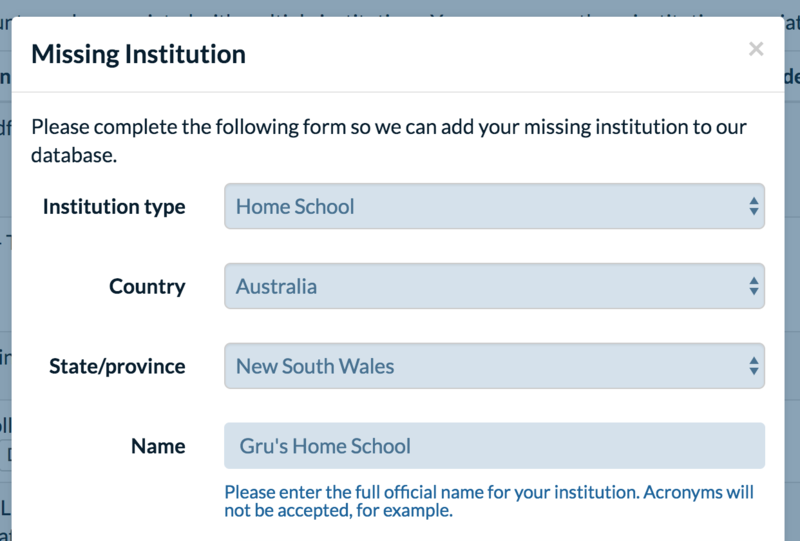 Once you've added the institution to your account, the last step is to request verification as a teacher at your home school, and receive a free teacher account. 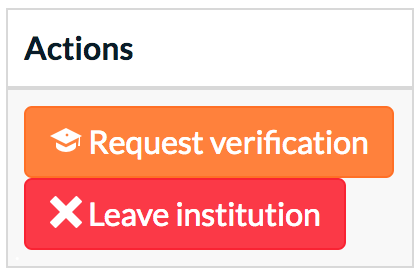 For more details on free teacher access and teacher verification, see How do I get a free teacher account?